There aren’t many major life choices that give you an opt-in or opt-out. You don’t get to pick your birthday, your parents, or your age. You just have to go with life and enjoy the moment you are in. The one exception is becoming a parent. Sure, unplanned pregnancies happen, but for many of us there is a point in time when you either said, “I’m ready” or in my case, “I’m ready to stop trying to not get pregnant”. I know, it’s not a full step, but you have to start somewhere. I was never the guy who had to have a baby. Sure they are cute, but so are puppies, and you can still travel around the world and have your generous neighbors feed your puppy when you are away. Not true with a baby. That guy has to go with you, legally. Which for most of my twenties would have been a huge bummer. I had things to do and places to see. Which is really what your twenties should be used for. They are your freedom years. It’s your time to be poor. It’s your time to travel to dangerous places. It’s your time to date a lot and figure out what love looks like to you. It’s your time to make the mistakes that will be your lessons for the rest of your life. It is the time to focus on yourself and find out who you are and what you value. But when do you know when you’ve found yourself? When do you know who you really are? In my twenties, I worked at a ranch in Colorado for a summer, hiked through the mountains of Chiapas, Mexico to work with coffee farmers, went rock climbing in the Red River Gorge, was baptized in the Jordan River in Israel, studied art history in Paris, was literally 10 feet from finish line when Usain Bolt broke the 100m world record in Beijing, drank wine from a barrel in Italy with the locals, touched the southern most point of Africa, went surfing in Hawaii, swam naked in Lake Michigan in the middle of the night, double majored in subjects I love, met the love of my life, and built a dream studio. Which, honestly is more than most people get to experience in a lifetime, and I am grateful for every single experience. In that time, I do feel like I found my core values and I know more about myself than I would have ever expected. Even through all of those experiences, there was never a point where I thought, “Ok, I’ve seen it all, time to stop all this adventure. I am ready to have sleepless nights, get thrown up on, and change diapers now”. Crazy I know… but that pitch still hasn’t sold me on having a kid. That’s the problem with adventure. It’s a drug that never satisfies you. The more you see, the more you want to see, which is why the idea of giving up freedom and adventure has always been the mental block that has kept me from taking a step into parenthood. It sounds selfish, and especially after the life I have lived, it sounds really selfish. But for me, and many of you, there isn’t going to be a moment where you’ve seen it all. You will never be able to see or experience everything. However, a couple years ago, I started to notice something. At the time, if you had asked, I wouldn’t have noticed a shift, but looking back, it is pretty obvious. I started to hang out with dads. 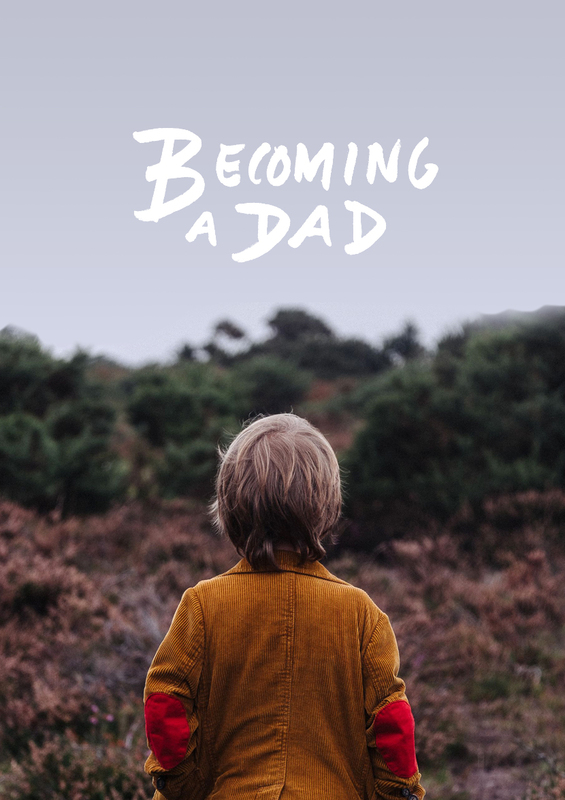 I didn’t know I was gravitating to dads, I just knew I was being drawn to hanging out with chill guys that were asking wise questions and focusing on things beyond themselves. My first thought wasn’t, this guy’s life is over and he’s lost his freedom. It was, he’s got a great life. They were all down to drink until midnight, after the kids went to bed, but were also good for a 5k in the morning. Before I knew it, almost all of my friends were dads that I didn’t know were dads. I don’t mean they hid their kids away and never talked about them. I mean they were guys who didn’t endlessly talk about how terrible it was to have kids. These guys hadn’t lost their identity and were still into adventure and freedom but in a more holistic way. They talked about adventure and joy, but it was through the eyes of a child. They never talked about what they were giving up; the sleepless nights, diapers, medical bills, or gaining a couple pounds. They talked about how much more enhanced their lives have become and how they were seeing the world in a new way, with the eyes of a child. They were becoming interested in bugs, forests, and gardening because they were teaching their kids about it, and their kids were asking them interesting questions. It was totally unexpected. I began to feel myself feeling like I was missing the greatest adventure in life. Which was the pitch that won me over. No one wants to choose a more difficult life, but we all want a life of meaning and exploration. So earlier this year, Megan and I decided to broaden our definition of adventure. We went for it and enjoyed what I call free love. No stress, and no expectations. Just lovin and livin. Which must have worked great, because within a month we were pregnant. Which was a lot quicker than I was expecting, or prepared for, but I am beyond happy it was such a natural process. I know that isn’t always the case. As this post goes live, we are in the final days of it just being Megan and I on our adventure. We are about to bring another one on board. Sure there will be late nights, vomit, and lots of poop. That is obvious and is the first thing everyone in the grocery store loves to tell me when they see Megan’s belly. Of course, those moments will happen, and I’ll take a shower after they do, but what the oversharing stranger at the grocery store has never said to me, and I wish they would, is that my world is about to completely open up. In a couple days, I will get to see and experience the world through my son’s fresh new view of the world. That is the greatest adventure I have yet to go on and I’m patiently awaiting the moments we will share together. What a beautiful post and perspective, Mike! I can’t wait to hear about all of the fun things you do with your little guy. We just welcomed our little guy into the world 7 1/2 months ago and it has been the MOST AMAZING experience of our lives. So if I saw you in the grocery store that is what I would tell you… I would tell you that it will be hard but everything is worth it for these tiny humans and that your life is about to change in all the best ways. I’d also tell you, you probably won’t take a shower after being peed on, thrown up on , spit up on or had snot wiped all over you LOL! You’ll either just wipe if off, wash your hands and go on about your day or simply be tired to care and somehow your child’s bodily functions just don’t seem to phase yo in the way you might think they will. I’d also tell you that you will be tired but you will never tire of watching your little human grow, and you will definitely not tire of all the joy that he will bring to you and Megan’s world! Moving. congratulations to you both! EVen though I’m a 20-something woman, you have perfectly described the hesitations i’ve felt about parenthood and being a MOM for so long. And you’ve somehow managed to beautifully describe it. thank you. thank you for your honesty and authenticity. this is so hope-filled. can’t wait to see you both on this journey! hope you will continue to document it! WHat a beautiful post, and I just kept shaking my head because all of this was the exact way for me, and I’m a woman. I never wanted kids, and never got my friends who wanted them early on or even those who got married very young. I felt like once you had a kid that was it, no more living or having fun, but like you said as we grow we shift to new people and there does come a time when most of us want to have a family and just enjoy that part of life. Like you all once we started trying, we were pregnant in a month. I was a little shocked and maybe not as prepared for it to happen so fast. Congratulations, you’re life is about to change, but i promise it’s mostly amazing. This made me tear up. Great narrative, mike! So beautiful! I wish the very best for you and your family, though it sounds like you have the best perspective and just the right head on your shoulders! I couldnt have Written that last Paragraph any bEtter! Honestly, one of the best posts i’ve Read on TFE all year. My favorite part was wheN things changed from hesitation to go for iT (especially the fun free love! What a joyful pIcTure of Megan and you! Well-styled pictures can freeze our personalities so). Travel and AdvEnture is fraught with perils and Frustrations and arguments and moments when you’re so frEaking SiCk or tired you just wish someone would hold you. Enter parenthood. Similar landscape, far more rewarding at the end of our lives, I imaGine. You two will be great parenTs. I haven’t a doubt in my Bones. I’m normally a silent reader, but had to comment about this post! I’m about to turn 26, still single, and loving my adventures! I’ve always been hesitant about whether or not I want children in the future. I simply just don’t know. I have to say that I really appreciate this fresh perspective. looking at having children as a brand new, exciting adventure to add to your story is a wonderful thought. really enjoyed reading this! I enjoyed this article incredibly much, and even forwarded it to my boyfriend to read. Appreciation all around! I featured it in my new weekly finds column on my blog; I hope that’s ok! I love this! Have you written a post since having hayes, on your experience now that he’s herE? I agree with everything you said. I have a 13 mo old boy and I can’t believe how much fun and wonderful it is. I’m so happy for you and Megan. It truly gets more fun each day.